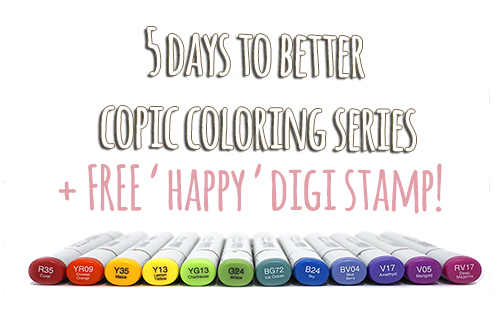 Get this FREE Happy Digi Stamp and start the 5 Days to Better Copic Coloring Series! Awesome possum! Now check your email for your free Digi Stamp!